Many elements have to come into alignment for a player to even have the opportunity to swing for the fence with the bases loaded. Three players must reach base safely before him in the inning, but not score, so each base has a runner. Often this is due to a pitcher's inaccuracy, resulting in ill-timed walks. For a pitcher who just filled the bases with runners, nothing could be more daunting than the sight Alex Rodriguez, Manny Ramirez, Frank Thomas, Jim Thome or one of the legendary members of the 500 Home Run Club® coming to the plate. One pitcher, Orioles Ace Dave McNally, was on the field to witness the wild scene that follows a Grand Slam in two consecutive innings of the June 26, 1970 Baltimore Orioles VS Washington Senators...and left the field both times with a smile. That's because he, along with teammates Don Buford and Paul Blair all crossed home plate ahead of the "homerun trot" of the great Frank Robinson, who had just become the first - and only - player in major league history to hit grand slam home runs in consecutive innings. To demonstrate how special this feat was, only 12 players have ever hit two "grand salamis" in the same game. Fellow 500 Home Run Club® salutee Lou Gehrig hit 23 career grand slams, the most by any player in Major League Baseball. Three of Gehrig's record 23 grand slam homers game over a four-day period in 1931 (August 29, August 31 & September 1). The newest member of the 500 Home Run Club, Boston Red Sox outfielder Manny Ramirez is only 36 years old and he's already hit 20 career grand slams. It's almost a foregone conclusion that Ramirez will break Gehrig's record, as he averages somewhere around 40 home runs per season. 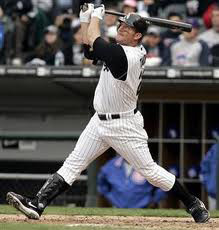 Ramirez is a consistent power hitter who has played for the Cleveland Indians and Red Sox over the course of his 15-year career, and he has hit three grand slams three separate times (1996 and 2000 with Cleveland, and 2005 with Boston). 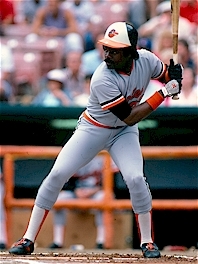 Eddie Murray knocked out 19 Grand Slams during his career, including two grand slams in a season twice and a career high three in 1985 while with the Orioles. Hank Aaron had 16, as does Alex Rodriguez, who is moving rapidly up the all-time leader board. A-Rod is also only the second major leaguer to hit three WALK-OFF Grand Slams. His latest walk-off grand slam came on On April 7,2007 off Chris Ray in the bottom of the ninth inning to sink the Baltimore Orioles, 10-7, and set off a raucous celebration at Yankee Stadium. The Grand Salami -- Rodriguez's second home run of the game -- capped a Yankees' rally against the Orioles. The final two on the Top 10 list of all-time Grand Slam leaders are Babe Ruth and Ken Griffey who each hit 15...of course "Junior" could move up in the rankings on any given day at the ballpark. In 1955, 500 HR Club member Ernie Banks set the National League record by hitting five grand slams in a single season. Banks five base-clearing blasts broke the record previously shared by Babe Ruth, Lou Gehrig, Ralph Kiner, Frank Schulte, Rudy York, Tommy Henrich, Vince DiMaggio, Sid Gordon, Al Rosen and Ray Boone. The last one came on September 19th off St. Louis Cardinal’s pitcher Lindy McDaniel, who was making his first major league start in game played at Sportsman’s Park, IL. Despite Banks’ heroics, the Cubs lost 6-5 in 12 innings. “Mr. Cub” demonstrated his insatiable appetite for playing baseball by suggesting that the teams “Play Two” to settle the matter. Willie McCovey hit more Grand Slams (17) than any other National Leaguer, and more pinch hit Grand Slams than any other major league player. He hit one on 06-12-1960 to help the San Francisco Giants defeat the Milwaukee Braves 16-7, one on 09-10-1965 to beat the Chicago Cubs 5-2 and his final pinch hitter grand slam came on 05-30-1975 after he was traded to the San Diego Padres, clinching a come-from-behind win over the New York Mets. Jimmie Foxx, Babe Ruth and Sammy Sosa each hit Grand Slams in two consecutive games. Griffey's came with his first team the Seattle Mariners on April 29th and 30th of 1999. 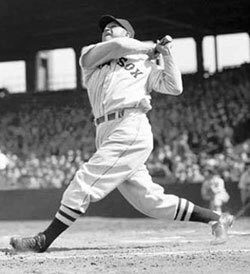 Double X, Jimmie Foxx, hit Grand Slams in two consecutive games as a Boston Red Sox on May 20th and May 21st 1940. The Babe achieved this memorable feat twice during his days as a Yankee. The first came in consecutive games played on September 27th and 29th of 1927, and the second "quad bag two-fer" occurred on August 6th and 7th of 1929. Willie Mays became one of only a few players in Major League history to hit an Inside-The-Park Grand Slam on August 25, 1960.